‘This is an extraordinarily vivid tale with many exciting episodes’. David Morphet, The Guardian. In August 2003, at the age of thirty, Rory took a taxi from Jordan to Baghdad. 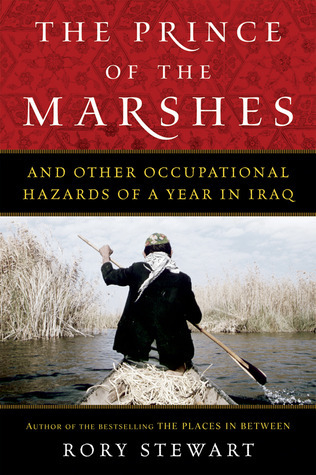 A Farsi-speaking British diplomat who had recently completed an epic walk from Turkey to Bangladesh, he was soon appointed deputy governor of Amara and then Nasiriyah; provinces in the remote, impoverished marsh regions of southern Iraq. He spent the next eleven months negotiating hostage releases, holding elections, and splicing together some semblance of an infrastructure for a population of millions teetering on the brink of civil war. The Price of the Marshes tells the story of Rory’s year. As a participant he takes us inside the occupation and beyond the Green Zone, introducing us to a colourful cast of Iraqis and revealing the complexity and fragility of a society we struggle to understand. By turns funny and harrowing, moving and incisive, it amounts to a unique portrait of heroism and the tragedy that intervention inevitably courts in the modern age. To purchase a copy of this book please click here.